The old Limbang commercial area is short of parking lots. 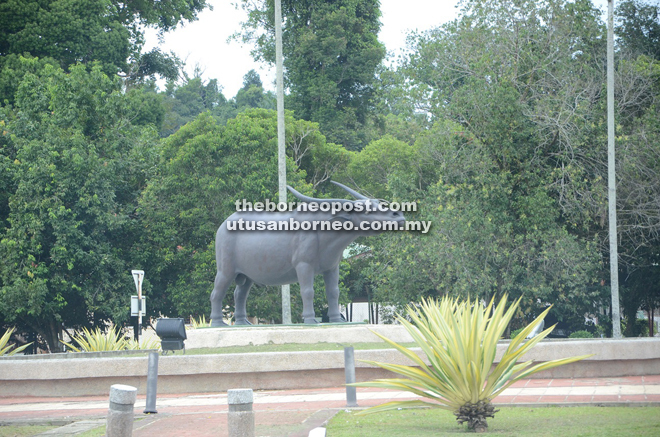 Limbang’s icon is the water buffalo. The new Limbang town commercial area is congested with limited parking space. LIMBANG: Business in Tedungan is thriving as it lies at the international border between Brunei and Malaysia in the northernmost part of Sarawak in Limbang Division. Chicken Rice Restaurant proprietor Bujang Joseph said he had been in the food business for more than four years after leaving his job in Brunei. “When Tedungan opened as the new Immigration check point at the Malaysia/Brunei border, there was no plan for a food business and even my relatives who own the property did not know how to do it,” he conceded. Bujang, 59, who hailed from Ulu Layar, Betong tried and found the business taking off. He revealed that due to the exchange rate of one Brunei dollar to three Malaysian ringgit, most of his customers who are Ibans working in Brunei come to eat and drink cheaper food and beverages unavailable in the Sultanate. Bujang said the alcoholic drinks and cigarettes in Tedungan are cheap at the duty free shop and they can buy them with proper Brunei documents and a valid Malaysian passport. He said in the last two years, business had slackened though his restaurant was not short of customers. Bujang disclosed that generally business was good when weekenders from Brunei come over the border, which caused the congestion in Limbang on weekends. “They come on Thursday as Friday is non-working day and by Saturday evening they have returned to Brunei. Generally, Bruneians flock to Limbang Town to shop and eat before returning,” he said. 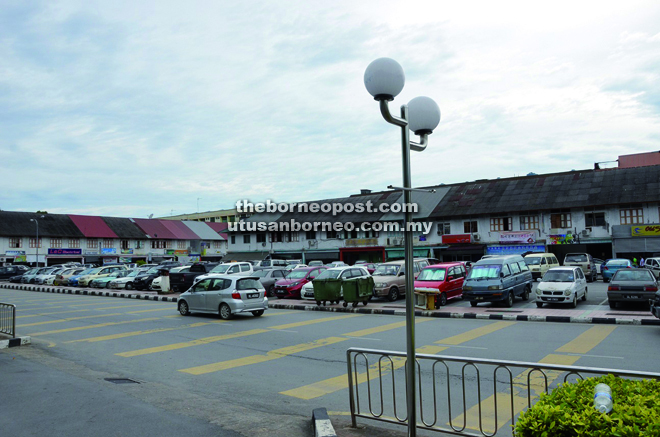 Bruneians contribute to the number of vehicles in Limbang town which can make parking a headache. “Usually it takes a few minutes and even up to half an hour to find a parking lot, especially during the month of Ramadan when people shop for Hari Raya Aidilfitri,” he said. Bujang hoped the economy at the border check point at Tedungan would flourish together with recovery of the world economy. When BAT6 approached shopkeepers in Limbang, they voiced their hope for the authority to look into the shortage of parking lots. Batu Danau assemblyman Paulus Gumbang told BAT6 of the ongoing infrastructure development in his constituency of Limbang District. Roads being constructed are Bawang Ubor Road and Kuala Medalam/Kerangan road under the Jiwa Murni programme. Paulus disclosed that Phase 1 of the water project costing RM5 million under state funding had been implemented. “I’m happy to see the government has supplied electricity to Rumah Lawai Selidong under the Rural Electricity Scheme,” he said.